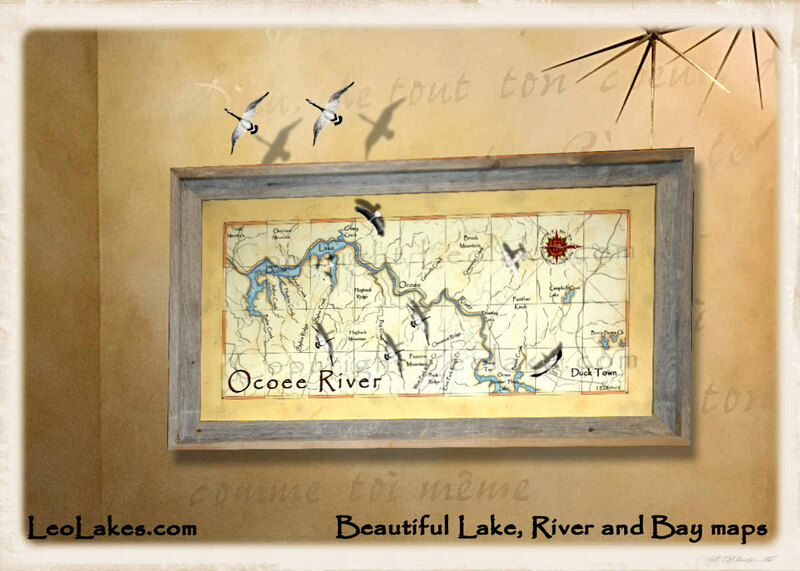 Just finished this canvas map of the Ocoee River! I've actually rafted the Ocoee many years ago, it was too much fun. This river was used as the white water river in 1996 Olympics. 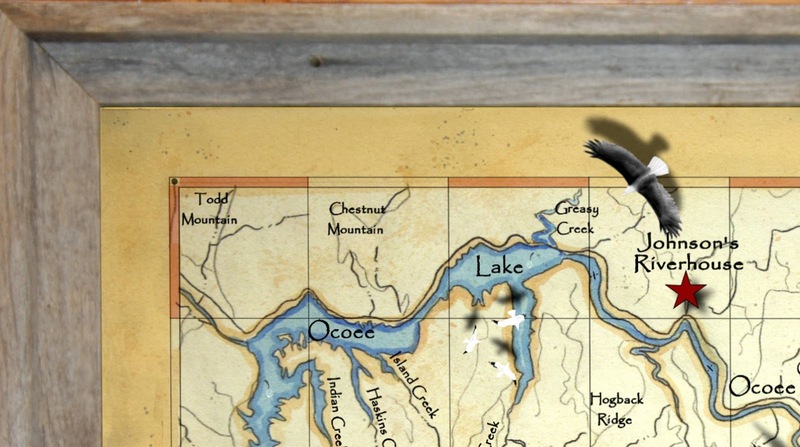 This map is framed in Barnwood. 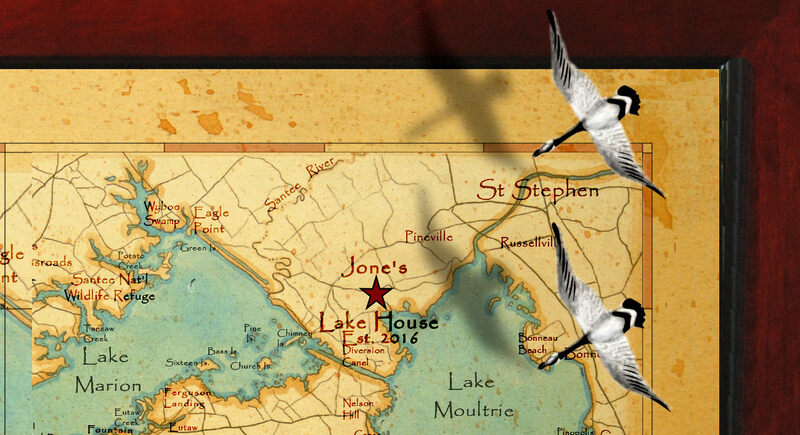 Oops, a couple of geese have flown off the map, that can happen with a Leo Lakes Treasured Map. Also, each framed map or map over 16x32, comes with a certificate of authenticity, lake poem, and interesting facts abut the map. 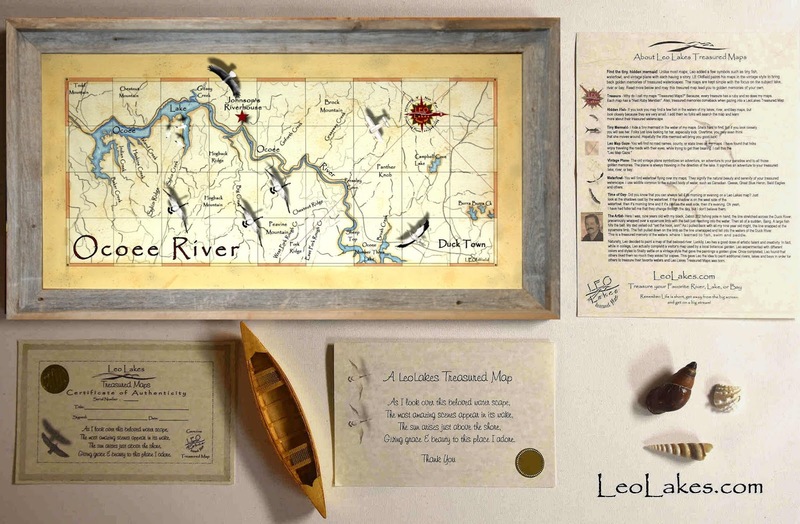 I have hundreds of maps on my website that can be purchased right from the site, or I can do custom and personalized vintage style lake maps, too. Lake maps will add beauty to your Lake House Decor! 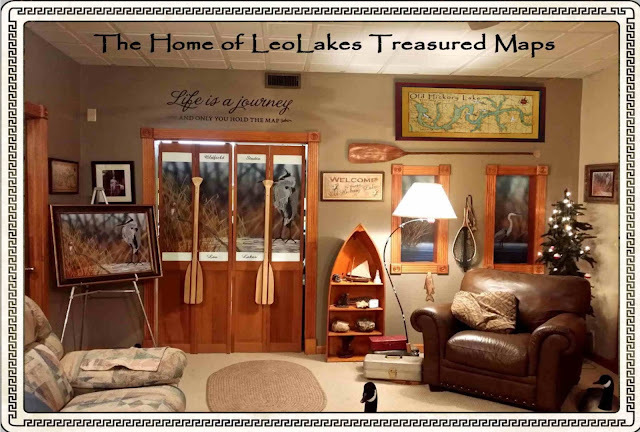 Find out more interesting facts about my treasured maps by going to LeoLakes.com.